During the years that Staten Island was inhabited by the Raritan Indians, a settlement was established on the Island's South Shore, known as Smoking Point. At the time, they had created trails, which have been marked on more recent maps. One such trail, which lead to Smoking Point, was known as Blazing Star. By 1661, the Dutch and French established their own settlement on Staten Island. About twenty-five years later, the English had taken over, purchasing Staten Island from the Indians. By 1708, public ferries began to operate from Staten Island to Manhattan, Long Island, and New Jersey. One of these ferries, which began operation by around 1722, was known as the Blazing Star Ferry. This ferry traveled from Smoking Point, across the Arthur Kill, to the Woodbridge Township in New Jersey. Taverns were located at the ferry houses of each ferry on Staten Island. Due to the tavern being named Blazing Star Inn, after the ferry, the name of the settlement was changed from Smoking Point to Blazing Star. Blazing Star played a big role in the American Revolution. In October of 1776, the Patriots had planned to attack the Loyalists at Richmondtown. The British learned of this and prepared themselves for the attack. It was not much of a battle, as only two soldiers from each side were fatally injured. The Patriots could avoid further conflict by escaping to New Jersey from Blazing Star. During the early nineteenth century, Blazing Star's name was changed yet again. In honor of a wealthy landowner in the community, the name changed to Rossville in the 1830's. This landowner, Colonel William E. Ross, was notable for constructing a replica of Windsor Castle, a castle in Windsor, Berkshire, England, in 1850. The mansion was originally known as the Ross Mansion or Ross Castle, but changed to the Lyon Mansion or Lyon Castle, when the home was sold to Governor Caleb Lyon, a notable poet, author, and member of the New York State Senate and House of Representatives. Lyon died in his home in 1875, and the building was demolished forty-five years later. On July 4, 1827, slavery in New York was abolished. During the late 1830's and early 1840's, freedmen from New York, New Jersey, and the Chesapeake Bay area, which included Delaware, Maryland, and Virginia, came to Rossville. Many of these men had been skilled in the oyster trade when they had resided by Chesapeake Bay. After coming to Rossville and naming their community Sandy Ground, they used their skills to harvest oysters in the nearby community of Prince's Bay, which was within walking distance. By 1850, the freedmen had founded the African Methodist Episcopal Zion Church, which became a New York City Landmark on February 1, 2011. For the next decade or so, the Church, which is currently located at 584 Bloomingdale Road, served as an important stop on the Underground Railroad. At 1538 Woodrow Road, you will find the Sandy Ground Historical Society, which has preserved the history of Sandy Ground. In 1930, the Mayflower Country Club was founded. Throughout the later decades of the century, land was acquired for the South Shore Golf Course and Country Club. The golf course now encompasses the land between the West Shore Expressway, Huguenot Avenue, Alverson Avenue, and Castor Place. Aside from the 171 acres of greenery, there is also a restaurant adjacent to the golf course. Much of Rossville's history can be found lying around the neighborhood. For example, the Sleight Family Graveyard, which had been designated as a New York City Landmark on January 17, 1968, and the Blazing Star Burial Ground, or Rossville Cemetery, are two cemeteries located off of Arthur Kill Road with gravestones dating as early as the 1750's. At the end of Barry Street, you can also find the cemetery for Poplar Avenue's St. Joseph's Church, which was founded July 2, 1848. The gravestones in this cemetery date no earlier than 1850 and many are hand-written in a foreign language. Another site to see in Rossville is located at 2453 Arthur Kill Road. 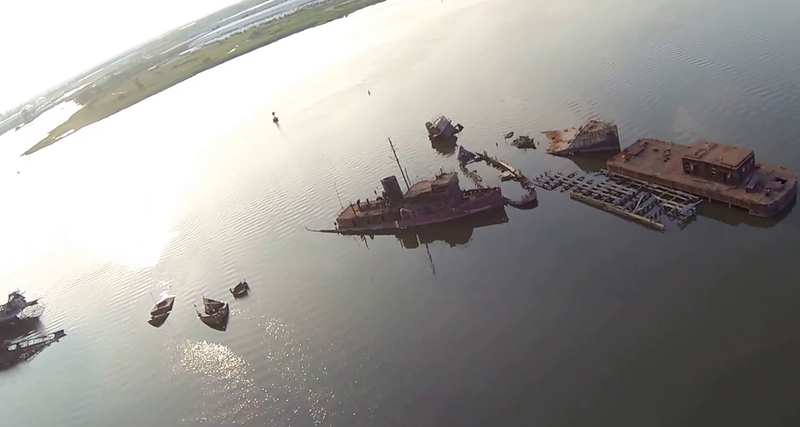 Sometime during the 1950's, Arthur Witte, Jr. founded the Witte Marine Scrap Yard. 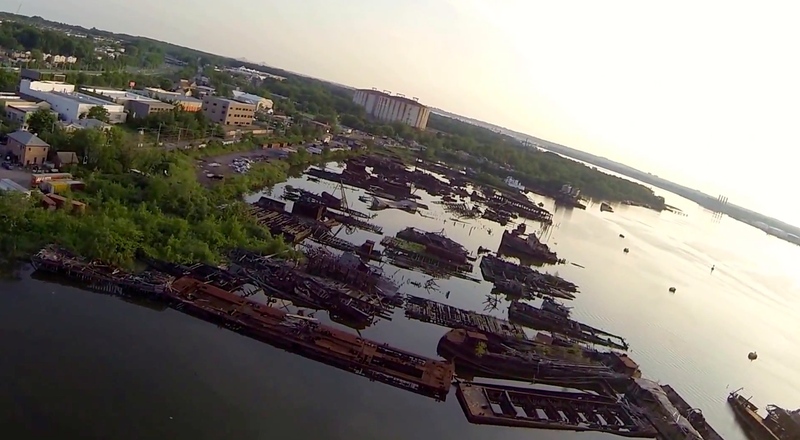 Witte had made the mistake of acquiring too many vessels than he could handle and now over four-hundred of them are rotting away in the Arthur Kill. A few of these vessels have a significant history, such as the Abram S. Hewitt fireboat, which was used in 1904 to rescue survivors of the 1,400 passengers who were aboard the sinking PS General Slocum steamboat. Today, Rossville is one of Staten Island's more modern neighborhoods with a wide range of housing alternatives. The area has seen a considerable amount of new home construction development since the beginning of the new millennium, with the construction of townhomes, single-family and two family homes in varying home styles. 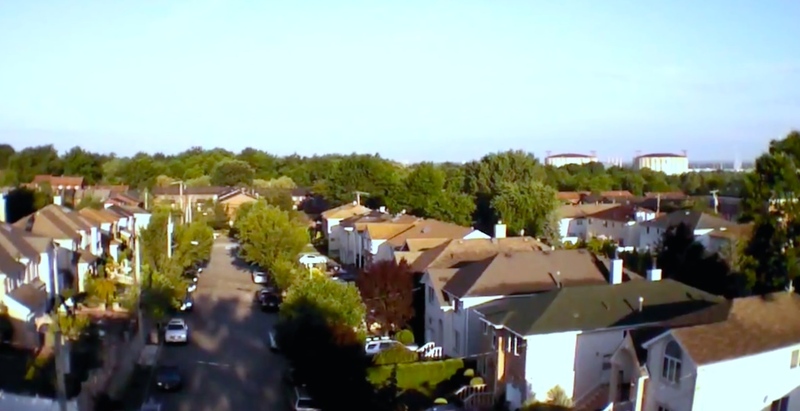 The area is also home to one of the larger condominium complexes on Staten Island known as Fawn Ridge and Woodbrook Estates, which offers a number of one, two and three bedroom condo units. There are a few local and express buses in the neighborhood of Rossville. The local buses are the s55, which travels to Rossville or the Staten Island Mall along Bloomingdale Road, and the s74, which travels to the St. George Ferry Terminal or the Bricktown Mall along Arthur Kill Road. The express buses which pass through Rossville are the x19, the x22, the x23, and the x24. The x19 is the sole bus that travels over the Verrazano-Narrows Bridge to get into Lower Manhattan. It does this by taking Arden Avenue. The rest of the buses take the Goethals Bridge to get into Midtown Manhattan. The x22, x23, and x24 travel on Amboy Road, Woodrow Road and Hylan Boulevard, respectively. The public schools in the area of Rossville are P.S. 56, at 250 Kramer Avenue; P.S. 4, at 200 Nedra Lane; P.S. 36, at 255 Ionia Avenue; I.S. 75, at 455 Huguenot Avenue; and Tottenville High School, at 100 Luten Avenue. The closest Catholic schools to the neighborhood are Our Lady Star of the Sea, at 5411 Amboy Road; the St. Joseph/St. Thomas School, at 50 Maguire Avenue; and St. Joseph by the Sea High School, at 5150 Hylan Boulevard. Another private school in the area is Yeshiva of Staten Island, at 1870 Drumgoole Road East.